The above video was made by our friend, Matthew J. Frizzell who is Community of Christ Seminary Dean at Graceland University. Matt shares a deeply personal experience of God’s love and presence in his life. He shares that his Wife, Margo, had a rare blood disorder that resisted typical treatments and was in the Intensive Care Unit. Matt prayed to God and had an experience with the divine. God comforted him and he saw a vision. Once that vision was done, he got many e-mails of support and prayers from others though the church’s network of prayer circles. While his experience did not answer his questions about Margo’s health, he did feel comfort by not only God, but others in the church. The video is a powerful example of God’s love for us in our time of need. I highly recommend watching this video and sharing it with your friends. While not at the same scale as Matt’s Wife’s illness, God has also blessed my life in many ways. When I left the church that I grew up in, I was scared, alone and felt discarded. I had prayed to God many times asking Him to comfort me in my faith crisis and help me find a new church home for my family. I felt God’s presence in my prayers, telling me that I should be patient and He will reveal where I need to go. I looked for months on the internet at many religions and did not feel the sense of calling. 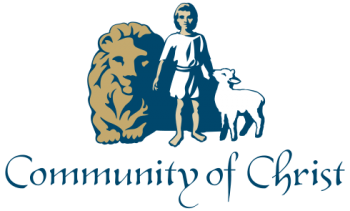 When I found Community of Christ, I came across the Enduring Principles and loved all of them. As someone who felt like a failure that I couldn’t make my previous religion work, the “Worth of All Persons” really stood out for me. I found my nearest congregation and decided that the next Sunday I would visit. I joined many church Facebook groups and read many posts from others to get a sense of the church. When I finally made it to a service, I found a spot in the Chapel and sat down. At that moment, I felt God’s spirit in my heart. That still small voice said “This is where I need you”. It was hard not to cry as I sat there listening to the sermon. I was filled with joy, relief, assurances and comfort. It became apparent to me that God did love me, despite my flaws as a person. For some reason, God felt that I was worth His effort. Yes, Matt, I am convinced.